A Girl and Her eBooks: CONTEMPORARY ROMANCE TRILOGY by Patrice Wilton - $0.99 Goodie! 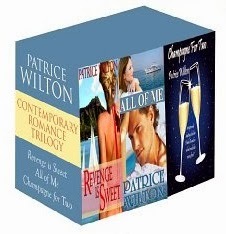 CONTEMPORARY ROMANCE TRILOGY by Patrice Wilton - $0.99 Goodie! Three best selling contemporary romances available for one incredible price! This box-set is too good of a deal to miss! Leila Warner is determined to find a donor match for her twelve-year-old daughter, Callie. The best match would be a blood relative, and no one in the immediate family matched. Another possibility is her deceased husband’s brother, a man once accused of murder, a man that his own family disowned, who now lives in Australia and no one has heard from in ten years. Leila flies to Australia, determined to meet Ryan and drag him home with her, if he tested as a donor match. He tells her that she can have any part of him she wants, but he’s never returning to the country that had treated him so unfairly. Can she convince him to do the right thing and put his past grievances behind? Will he leave his scuba-diving business, and the land he’s come to love, to help his brother’s daughter, the niece he’s never known? This is an emotionally compelling story, sure to capture your heart. How can a woman not love a man who is willing to save her daughter’s life? CHAMPAGNE FOR TWO is a tale about an upscale dating service in Palm Beach--fun and sassy! You’re sure to love the interesting characters, the compelling romance and irresistible hero. REVENGE IS SWEET is a hilarious revenge-after breakup story about how one ex-wife extracts her revenge but discovers new friendships, new strengths, and that laughter really is the best cure for a broken heart. 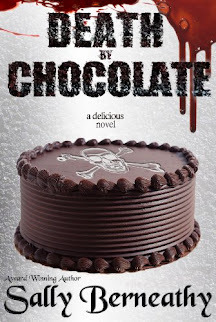 Funny and cute, or emotional and gripping, Patrice Wilton offers three stories that will keep you riveted to your Kindle. Go to Australia with the heroine of All of Me in an emotional journey, or try a dating service in Champagne for Two. Women forgive but don't forget. Have a good laugh as you remember the last time you've been dumped, and take revenge in retrospect with Patrice Wilton and her Mars Club. I really enjoyed this romance trilogy. The characters are very real and the suspense was fun. I would recommend these books to friends and family. What a great price for some of the best stories I have ever read. I love Ms. Wilton's writing! A wonderful holiday gift and a terrific escape!